Born to Master Dhian Singh and Mata Gurmej Kaur, Bhai Paramgurpreet Pal Singh ‘Punia’ was the youngest of 4 children. Bhai Sahib had 2 elder brothers and one sister, his eldest brother Shaheed Bhai Ajegurpreet Pal Singh aka Babeki Singh was a Lt. General in the Bhindranwale Tigers Force of Khalistan (Sheena Group). Bhai Punia being the youngest child was given the most affection and love from his family, he was a mischievous child who always had a smile on his face, he excelled in studies and sports. Upon completing Higher Secondary studies Bhai Punia gained admission into Punjab University, Chandigarh. Bhai Punia was a talented artist and would often create great pieces of art, winning many awards for his work. One could say he was a perfectionist, as any painting he had made but disliked, he would through it away. One such painting that Bhai Punia threw away, his friend had picked up and entered it into a painting competition under his own name. This painting won the 1st prize at the competition and a monetary award. Bhai Punia’s friend then came to present the reward money to him, but he would not accept it based on his principle that the painting was not worthy of any award. Bhai Punia graduated top of his class from Punjab University, Chandigarh in 1988. In these days the Punjab Police and Hindustan security forces were imposing their reign of terror on the Sikh youth, whereby Sikh youth would be illegally detained, tortured and even killed. Bhai Punia’s brother Bhai Ajegurpreetpal Singh and cousin Bhai Gurlat Singh Fauji (Area Commander BTFK) were among the big name Jujharoo Singhs fighting agaisnt the state oppression. Due to being related to the Freedom Fighters, Bhai Punia and his family often faced harassment and threats of execution from the Police and BSF. For this reason Bhai Punia’s father sent him abroad to Germany, where he arrived in 1989. During the period of 1989-1992 Bhai Punia remained in Germany, where he kept himself in touch with the Sikh Freedom Movement and provided monetary support to the BTFK. In 1992 Bhai Punia decided to join his brothers in arms and enter the battlefield. At the end of 1992, Bhai Punia joined the ranks of the Khalistan Commando Force under the leadership of Bhai Paramjeet Singh Panjwar. Due to being a well educated and intelligent individual as well as posessing great athletic attributes and deep knowledge of Gurbani, Bhai Punia was highly impressed and respected by those around him including Dr Pritam Singh Sekhon (KLF), Bhai Mehal Singh Babbar and Bhai Jagtar Singh Hawara. During his stay with Bhai Parmjeet Singh Panjwar in 1993, Bhai Punia learned of the Shaheedi of his elder brother Bhai Ajegurpreet Pal Singh, but this news did not deter him from his goal. Having undertaken full weapons training, Bhai Punia was ready to participate in the armed Sikh struggle. In 1995 a group of 15-20 Singhs prepared to carry out some high level co-ordinated attacks on enemies of the Sikh Panth entered Punjab, but due to the betrayal of traitors of the Panth, the group was apprehended by the security forces and then taken to various interrogation centres and blindly tortured. After this point no information came to light as the the whereabouts of those Singhs, of which Bhai Punia was one. Perhaps they were killed in fake encounters, like thousands of others before them and their bodies discarded. 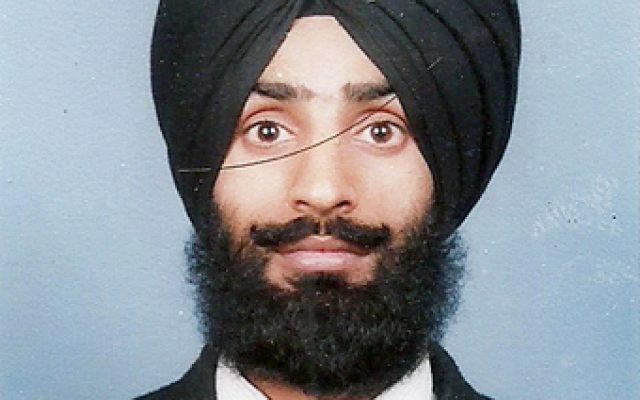 The family of Bhai Paramgurpreet Pal Singh was never given a body nor an official death certificate, perhaps in order to torment the family further, leaving them in hope that one day their son may return home.